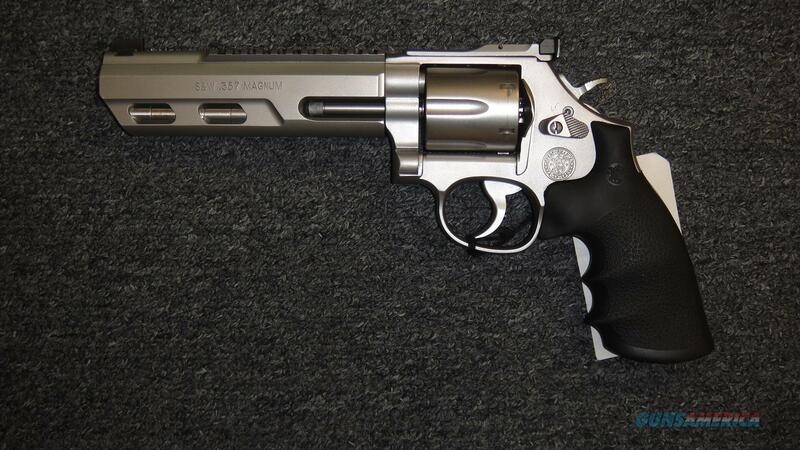 Description: This NEW Smith & Wesson 686-6 Competitor (Performance Center) (170319) is chambered in .357 magnum and has a 6" barrel. It is all stainless with black rubber grips. It has an optics rail and adjustable rear sight. It has a 6 round cylinder. It comes with a hardcase, lock, manual, and removable barrel weights.